May 24, 2013 (Mountain Springs) - Photographers Jim Pelley and Parke Ewing spotted a herd of endangered Peninsular Bighorn sheep preparing to cross I-8 in Mountain Springs, at the county line separating San Diego and Imperial Valley counties. Residents report that wildlife is returning to the area over the past week, since wind turbines at the adjacent Ocotillo area have been silenced during the investigation into a blade that fell from a wind turbine. How many sheep can you find ih the photo below? (click "read more" to view.) We don't know the answer, but Pelley says spotting the well-camouflaged sheep reminds him of playing "Where's Waldo." 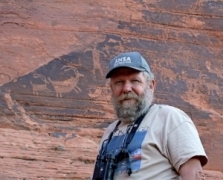 June 16, 2012 (Anza-Borrego) -- Over the Fourth of July weekend, volunteers will head into Anza-Borrego Desert State Park to participate in the annual bighorn sheep count. 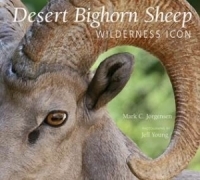 If you can brave the heat, you’re invited to be part of this citizen science in action to help count this endangered population of desert bighorn sheep.